A heartfelt thanks: Dona Griffin, the mother of the late US Army Sgt. Dale Griffin, and her husband, Gene Griffin, thank Gov. 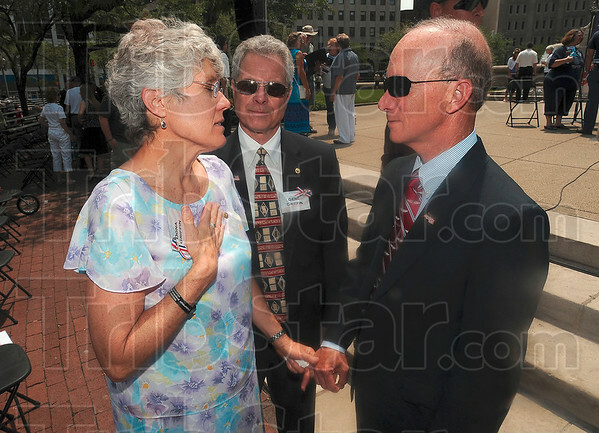 Mitch Daniels for his support after Dale's death in 2009 after the 500 Festival Memorial Service Friday in Indianapolis.